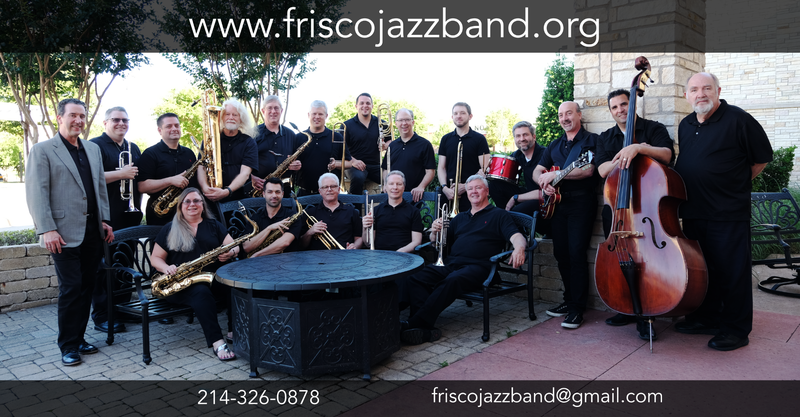 Welcome to the official site of the Frisco Jazz Band! Are you a "Big Band" fan? Come out and hear the FJB. Not a "Big Band" fan yet? Come out and see what you are missing!